Dubai: Pakistani government will soon announce a comprehensive package offering incentives to overseas Pakistani especially focusing on those living in the UAE and other Gulf countries, said a top parliamentarian. 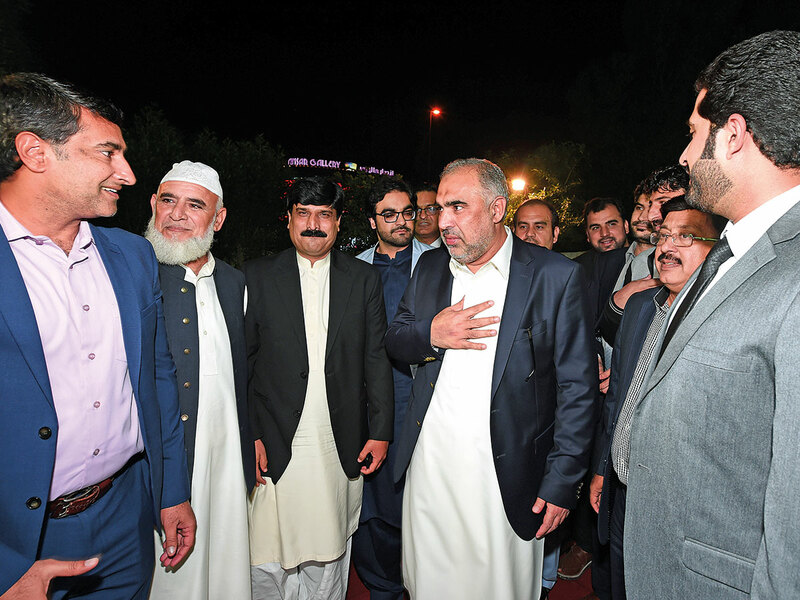 “We urge all expatriates to send their proposals to their diplomatic missions to help the government finalise an incentive package which suits all of you,” said Asad Qaiser, Speaker of the National Assembly of Pakistan. Qaiser who belongs to the ruling Pakistan Tehreek-e-Insaf (PTI), assured the expatriates community that ‘all your problems will be solved’. Qaiser, who stopped over in Dubai on his way to Iran, addressed a gathering of some prominent Pakistani community members at the Pakistan Consulate General in Dubai on Wednesday. It was the first interactive session with the community members by any top politician from the new government. “I wanted to personally meet you to hear about issues you are facing and I will come in January next year to announce a special incentive package for you,” said Qaiser who has been associated with Pakistani Prime Minister’s political party for the last 24 years. Qaiser faced some pinching questions from the community members who complained about poor services at the mission and lack of community schools. From opening new schools for expatriates to providing one-window operation for investors, Qaiser assured that the government would implement every possible measure to serve the overseas community which he said are the backbone of the Pakistan’s economy but were ignored in the past. He said the he would talk to the government to open new Pakistani schools to meet the increasing demand for affordable schooling for expatriates. Qaiser said that businessmen who intend to visit Pakistan would be given visas ‘over a cup of tea’ on the spot. “We have instructed the missions abroad to facilitate foreign investors and businessmen who want to visit Pakistan,” he added. He said that the visa fee would also be reduced considerably. “We are working on capacity building at the Pakistani missions to improve their services, be it the visa service, passport renewals or the counsellor services for the community,” he said. Apprising the community about the PTI government led by Prime Minister Imran Khan, Qaiser said that the government which has completed more than three months is facing gigantic challenges. “Since no institution — be it the national airline or the railways or the steel mill, is making any profit, we are making changes at the grass roots level to control losses and make them viable,” he claimed. He said that the government is focused on good governance, transparency and elimination of corruption. “Imran Khan is devoted to his work and does not take a day off as he is determined to make Pakistan a true ‘Islamic welfare state’. He also appealed to overseas Pakistanis to remit money through legal banking channels to help their country come out economic crisis.